Subcontractors are critical to PARIC’s continued success. To ensure that we’re selecting the right company for the right job, we require all subcontractors to prequalify. It’s our way of assuring that PARIC projects will meet the exacting standards we set, while giving you the peace of mind that comes from knowing that we accept bids only from quality, financially sound subcontractors. Please note that all prequalification information must be updated annually to remain on the PARIC bid list. 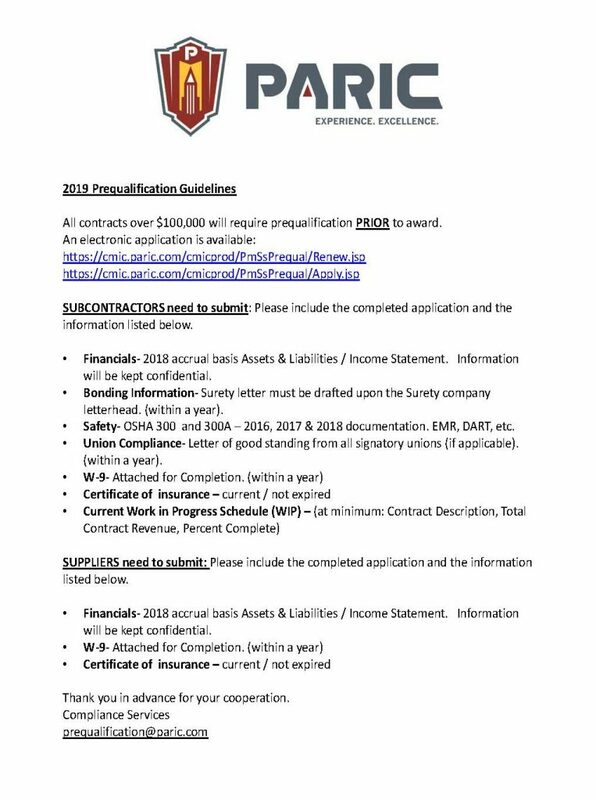 Please contact Prequalification@paric.com for any questions.